We have Krabi Travel Information for you, so you can discover the best parts of Krabi. Krabi sums up the beauty of Thailand in a single province, with jungles, highlands, stunning islands and some of the country’s best beaches. Though nearly inaccessible forty years ago, improved roads have made Krabi accessible by tour bus, taxi. For those who prefer the freedom of setting their own pace you can hire a car or motor bike. There are also a lot of Krabi Hotels to choose from, in all prices to suit your budget. Our Krabi Travel Information is for you to learn a little bit about Krabi, so it gives you that urge to see it for yourself. Krabi Town, capital of the province, has retained its relaxed, friendly character. Previously it was popular as a base camp for visitors who want to sample both countryside and seaside of Thailand. One of the best known attractions here is Tiger Cave. 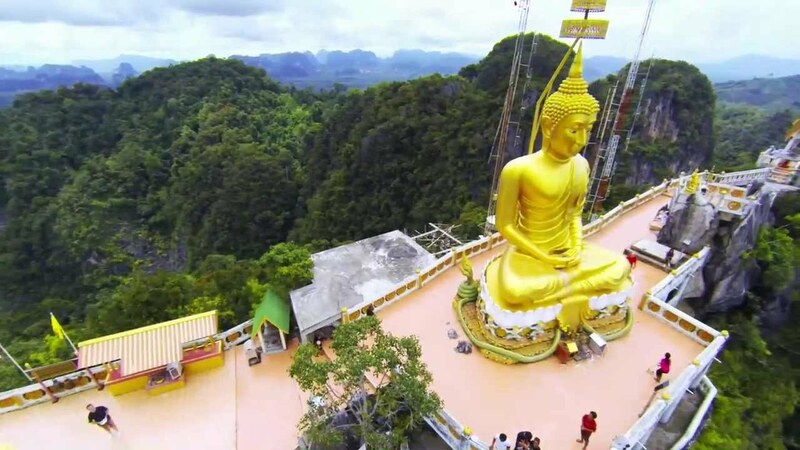 It has a 1,237 step climb that delivers visitors to a functioning Buddhist monastery. Up there it has panoramic views of the surrounding landscape. The Krabi Town area also boasts idyllic beaches, including Railay, Aonang and Phra Nang, which rank among Thailand’s best. Local scenery includes mangrove stands, limestone cliffs covered with verdant greenery a beautiful bay and a coastline overlooking the Andaman Sea. Popular ways to take it all in include boat excursions and ferries, trail riding on horseback and kayaking tours. Cliffs and stony outcroppings rising straight from land sea from draw climbers from all over the world. A short 20km drive from Krabi Town is the Khao Phanom Bencha National Park. 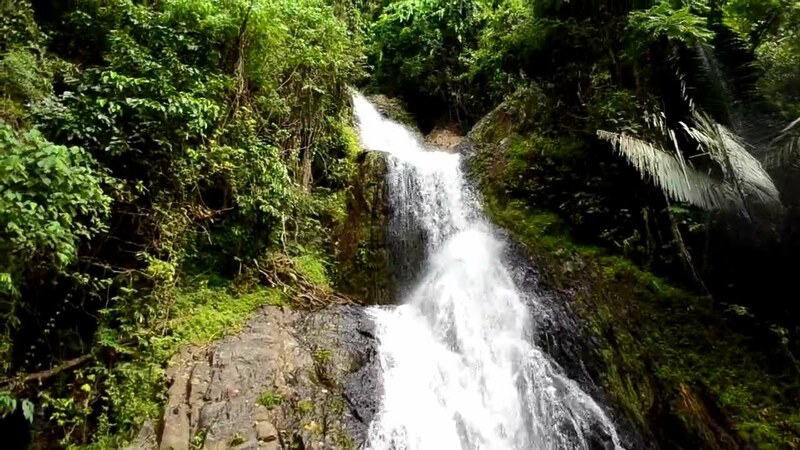 This compact gem harbours a large tract of virgin rainforest along with numerous waterfalls, including Huay To Falls with an eleven-tiered drop. Than Bok Khorani National Park is 45km from Krabi Town. It features cascading mountain streams and pools, mangrove forests, gardenia and asoka trees and numerous waterfalls. It also has several geologically distinct caves, one of which, Tham Phi Hua To, has prehistoric wall paintings. Both parks are good choices for ecotourists. Activities for visitors include climbing, nature trails, and bird watching. Krabi province is famous for the beaches and islands along its western coast. The soft, pale sands, tranquil waters, and coral formations are popular with sunbathers, swimmers, snorkel enthusiasts and divers. Not to be missed is Koh Lanta National Park, which includes several islands, two beaches, prime diving spots. For the nature lovers it has a good nature walk through unspoiled jungle near the park’s headquarters on Koh Lanta Yai. Also popular are the much-visited but largely uninhabited Phi Phi Islands. The Phi Phi Islands have coves and white sand beaches against a jungle backdrop are irresistible. Substantial coral gardens and the ever-shifting blues and greens of the waters make the islands well worth a day trip. 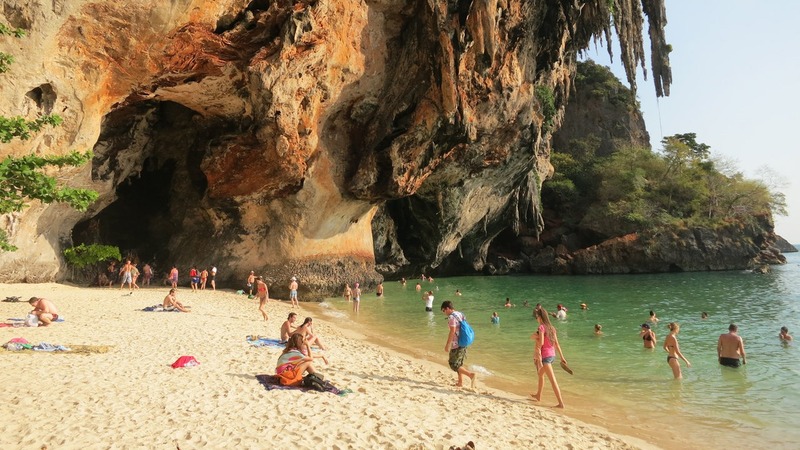 The best time to visit Krabi is during the non-monsoon season of November to May. Then the sunshine is plentiful and cooling breezes keep heat and humidity at bay. This is the peak holiday season, so be sure to look into your Krabi Accommodation, tours and car hire well in advance. Krabi is famous for all its tours and activities. People come from miles around the world just to experience the wonders that this place has to offer. 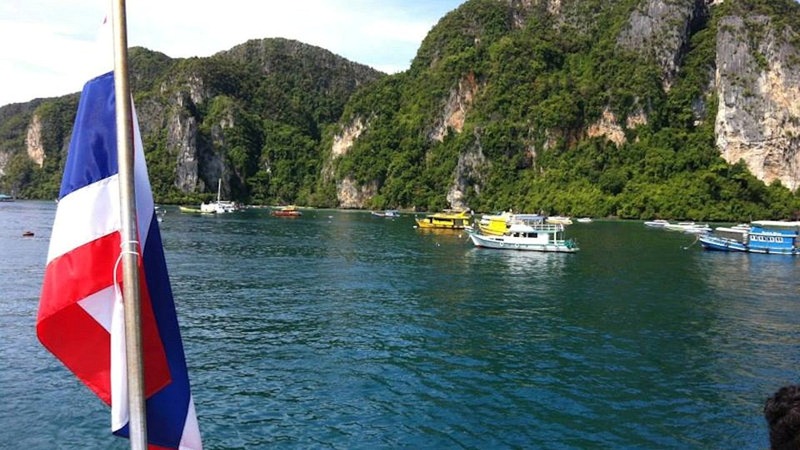 There are one day tours, half day tours and multi day tours around the Phi Phi Islands and Krabi. This post was supplied by Skedaddle Car Hire.